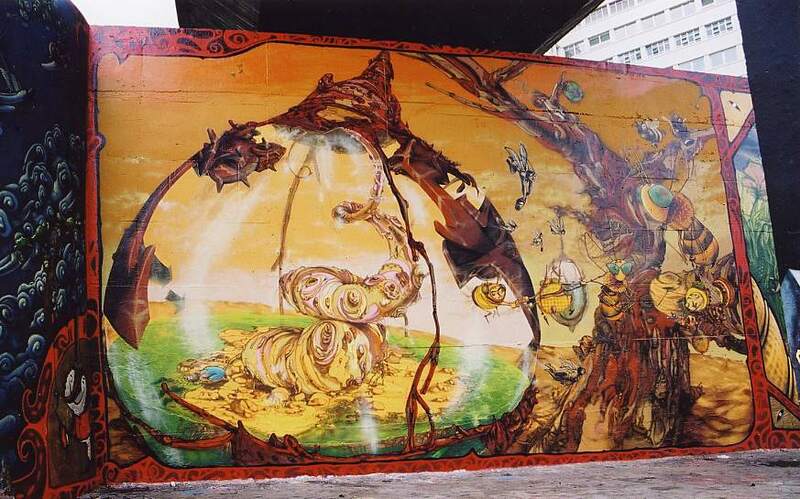 Art and images © copyright 2002, Os Gemeos fiz@uol.com.br and Art Crimes. 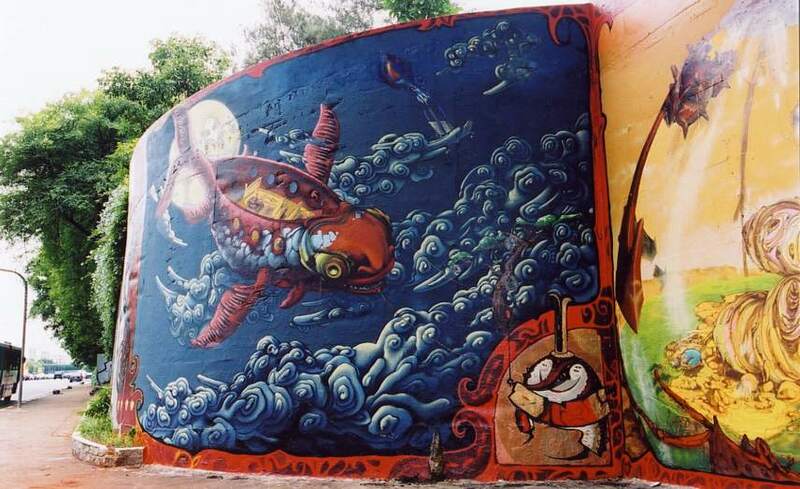 These photos are of a sponsored project in Sao Paulo, Brazil, painted in October 2001. For information about the project, contact anarkismografico@hotmail.com . 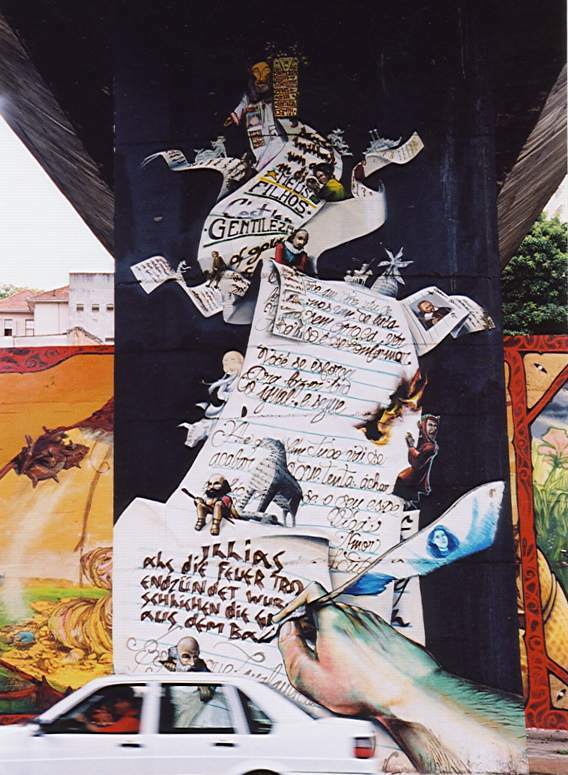 Organized and produced by AG Crew: Vitche, Herbert, Os Gemeos, and Nina (all from Brazil) and German artists: Loomit, Codeak, Tasek, and Daim. The artists developed the theme themselves, together. 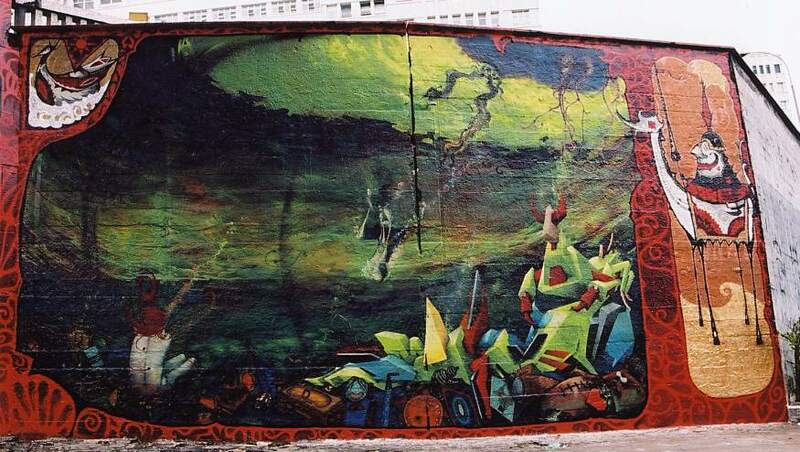 The mural is larger than 1000 sq ft (300 sq meters). Theme: Air, earth , water, and fire. The tree of life, poetry, tales and great literary writers from around the world.